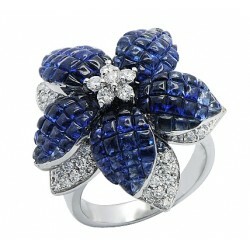 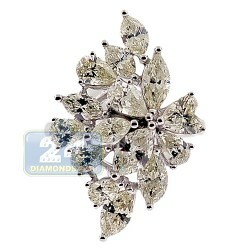 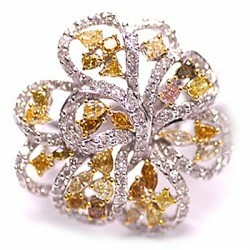 Stay noticed with our gorgeous colorful ring for women! 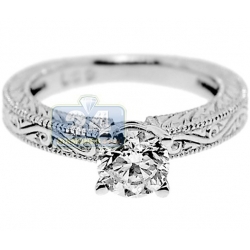 It features a stylish dome shape with openwork design, and masterly handmade of lustrous 14k white gold with high polished finish. 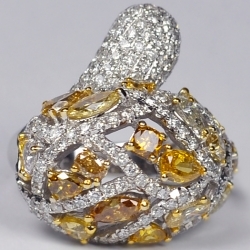 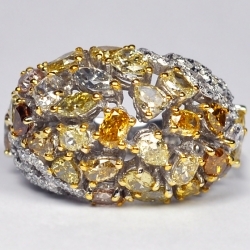 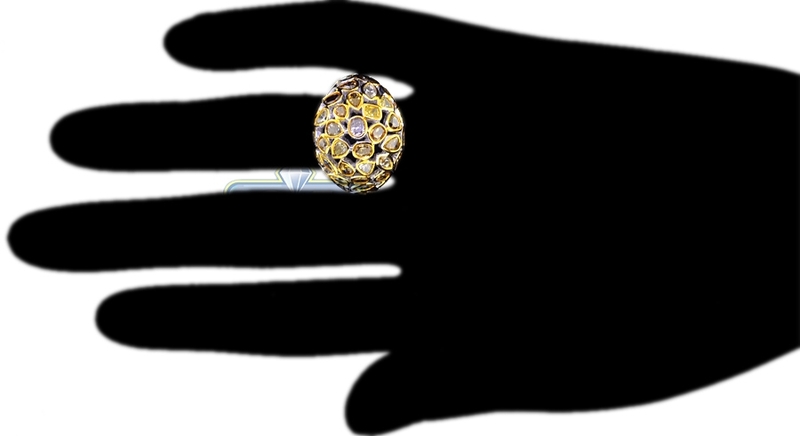 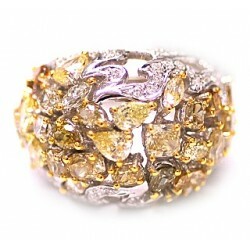 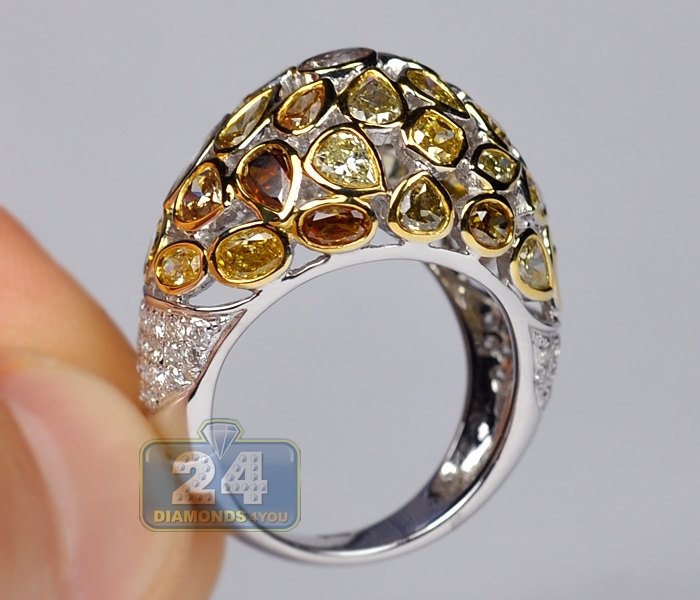 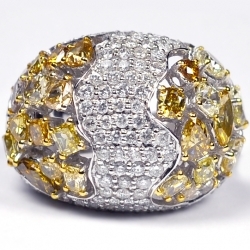 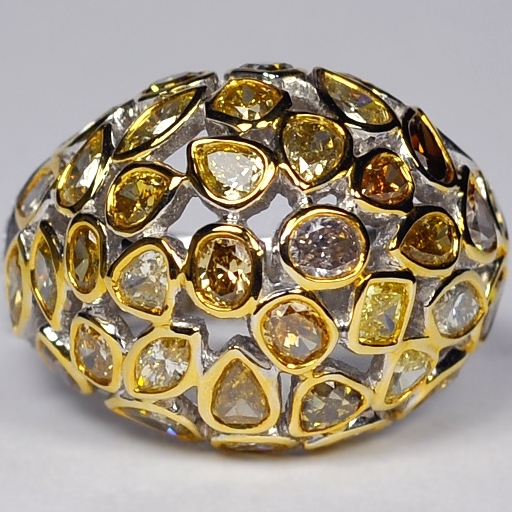 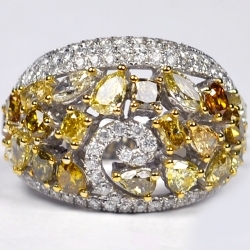 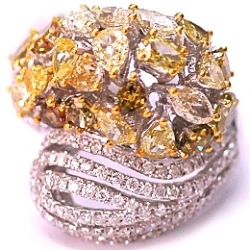 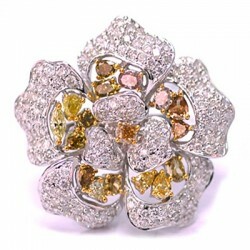 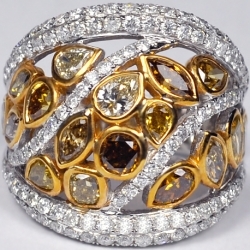 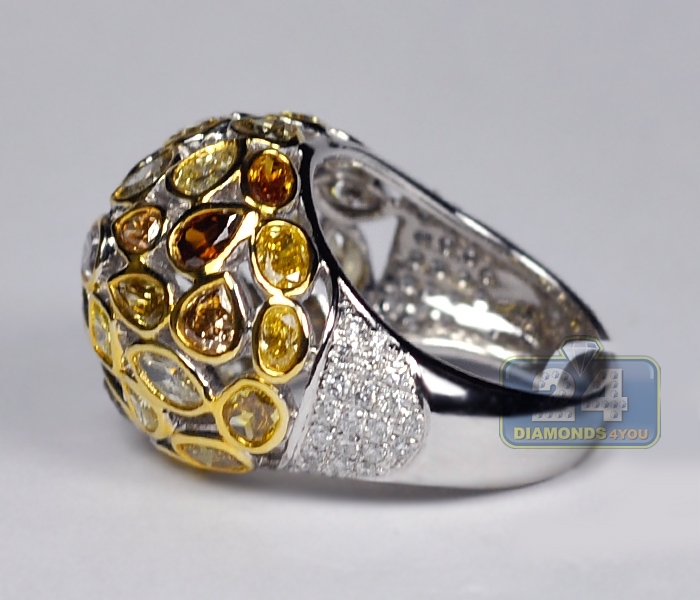 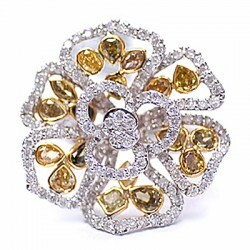 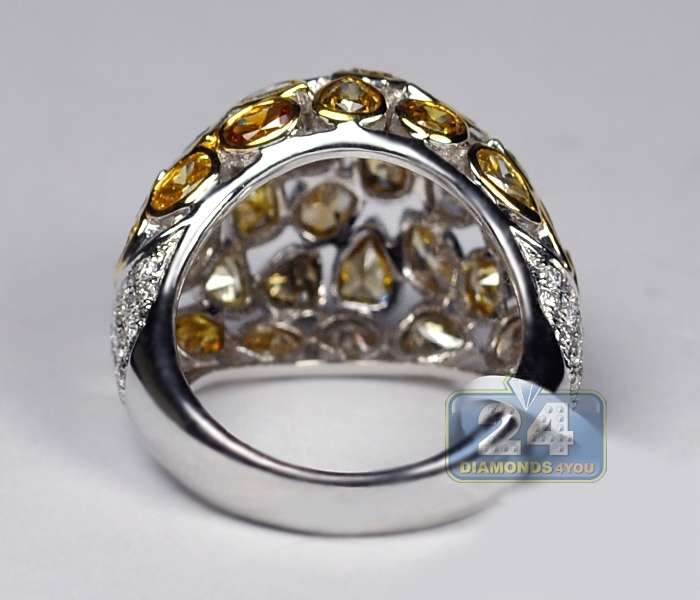 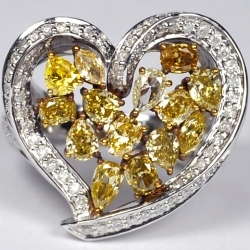 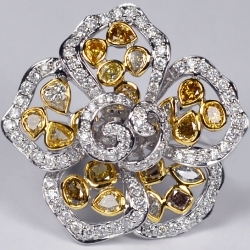 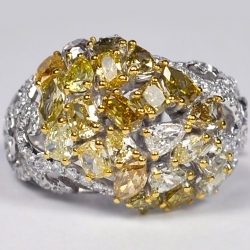 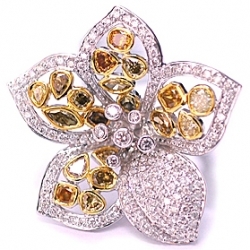 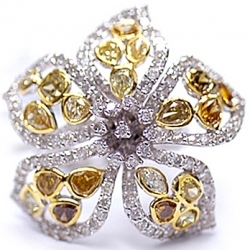 The ring is expertly encrusted with absolutely natural multi-colored bezel set yellow and brown diamonds as well as classic icy white pave set brilliants. 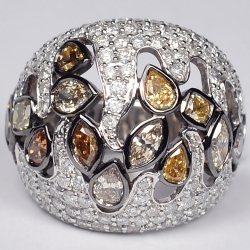 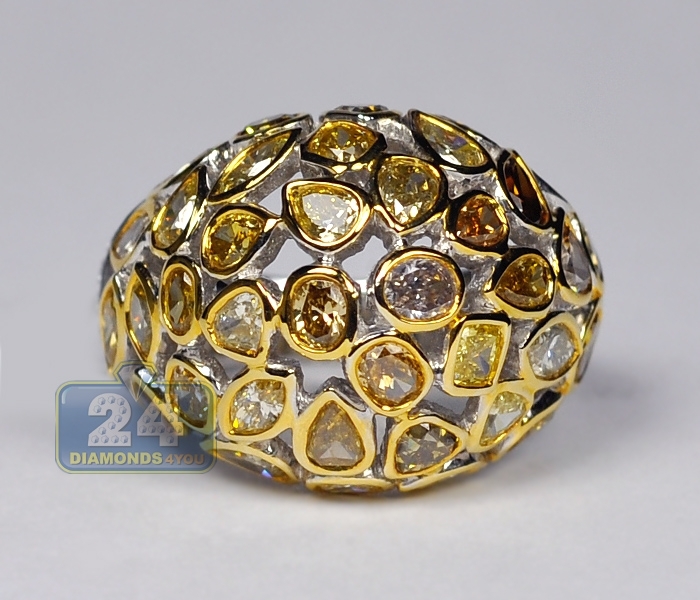 What a rich variety of shapes and shades combined in this unique jewel!